PESHAWAR: Awami National Party (ANP) Central General Secretary Mian Iftikhar Hussain Tuesday said that mother language plays a vital role in the development of a nation. In a message on ‘Mother Language Day’, Mian Iftikhar Hussain said that all the old and modern educational experts, philosophers and intellectuals agreed that education should be imparted in mother language to a child as it was the secret behind the development of modern countries. He also said that that celebration of February 21 as ‘Mother Language Day’ is a good tradition, but now it is need of the hour that the occasion should be turned into a full-fledged movement for the promotion of mother language across the country. 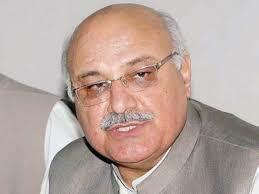 Referring to Pashto language, Mian Iftikhar claimed that Pashto is the second biggest language of Pakistan. He said that several international media organisations were broadcasting their programmes in the Pashto language, which was reflecting its importance. He suggested that a movement may be launched for enforcement of mother language as a medium of education in all educational institutions, and in this regard, UN organisations may be approached to back the move financially.